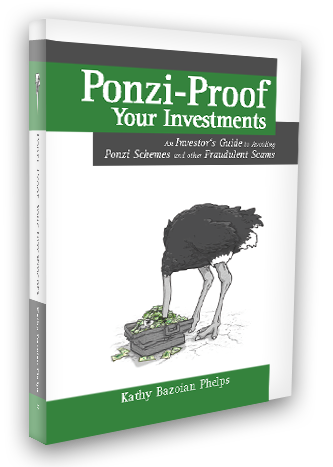 Ponzi-Proof Your Investments is the book that investors have been waiting for. It contains detailed and specific due diligence questions to ask and investigations to undertake that are designed to help investors avoid becoming victims of fraudulent schemes. Investors need more than a “too good to be true” benchmark to evaluate investment programs, and Ponzi-Proof Your Investments provides tips, suggestions and warning signs to assist the careful investor.